Its almost a done deal, AS Monaco central defender Aymen Abdennour joins Valencia CF after the two clubs reached an agreement of 25 million euros for the player. Valencia CF had hoped to acquire the player for cheaper, but a last minute complication in the way of Chelsea FC put a dent in those plans as they bid 20 million euros for the player, with reports from England suggesting that Aymen Abdennour personally preferred Chelsea FC over Valencia CF, but Valencia CF improved their bid to 25 million euros, reaching an agreement with AS Monaco and thus leaving Aymen Abdennour no choice but to join Valencia CF. 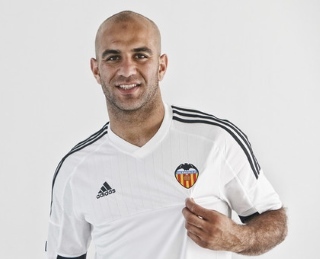 Aymen Abdennour knew about Valencia's interest for quite a while and he did initially agree to a move to the Mestalla, but when Chelsea FC went calling in he changed his tune as English clubs can pay players a lot more money and Chelsea FC are last years Premier league winners as well, luckily Valencia CF staff worked quickly and were able to reach an agreement with AS Monaco securing the deal. French reports even suggest that the player is already in Valencia, about to take the medical exam and officially sign a 5 year contract that would have the player stay till 2020. The release clause is rumored to be about 60 million euros, so even bigger than the Otamendi's release clause and with good reason too, with today's inflated market and absurd financial power of clubs like Chelsea, PSG, Manchester United, Real Madrid, etc... you need absurd release clauses to keep players. Tell us what you think about this turn of events in the comments section and what do you think about the player, is he on the same level as Otamendi and can he do a proper job replacing him?